The public is hungry for truthful and transparent reporting in the media. This need has been made all the more pressing with the recent scandal over Facebook facilitating the spread of fake news by Cambridge Analytica, which influenced political outcomes around the globe. This pressing need for truth is one of the primary reasons we started Impact Relations. While tech giants are waging a war against fake news, media outlets are leading the transparency movement through ‘proactive accountability’ – recognizing unconscious editorial bias in past reporting. In this issue, we explore why The New York Times and National Geographic both made the decision to examine the stories they’ve featured over the years and whether these editorial decisions played a role in perpetuating racial and gender stereotypes (spoiler: they did). We’ll also see how these reckonings made ripples in Canada, and take a look back at some of the earliest headlines around social media juggernauts and fake news. As we watch this cultural reckoning happening in the media, we ask ourselves how we as communicators can support this movement towards greater transparency and fairer representation in the stories we share. National Geographic created major waves when it announced ‘The Race Issue’, leading with an article that examined its own racist history of coverage. Editor Susan Goldberg acknowledged that in order to write about the state of race in 2018, the 130-year-old magazine and its staff needed to take a look at the role they’ve played not only in reflecting, but shaping the attitudes of the times. National Geographic invited an independent historian to analyze its coverage, and the findings range from the casually imperialistic to the overtly dehumanizing. Though many applauded the article as an important first step, reaction was mixed to The Race Issue’s cover story about a pair of twins, whose differences in melanin are portrayed as the kind of ethnic curiosity you might have read about in the National Geographic from decades past. Can words alone heal divides? Racism is by no means a uniquely American problem. In the wake of National Geographic’s public acknowledgement, Toronto Star’s Shree Paradkar penned an op-ed highlighting why it’s telling that the big story wasn’t National Geographic’s racist coverage, but the fact that only in 2018, after 130 years of reporting through an imperialist gaze, did it acknowledge its own racism and call it out explicitly. It’s easy for people who’ve never experienced racism to acknowledge its ugliness, Paradkar writes, but that pales in comparison to being on the receiving end of it. She challenges Canadian media to examine their reporting and ask hard questions about the lens they apply to their work. An example is The Globe & Mail being called out for the headline it initially ran for a story on Indigenous youth Tina Fontaine, which focused on the toxicologist report rather than the fact she murdered. 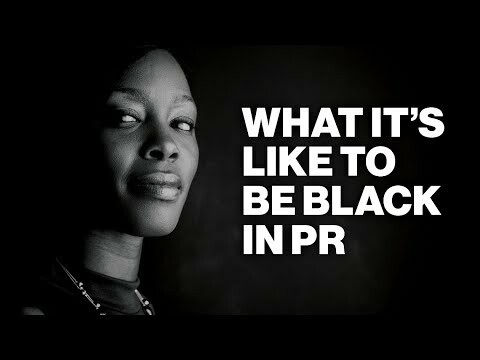 To kick off Black History Month, PR Week spoke with several black PR practitioners on camera about their experience in the industry. Their experiences, which Ellen McGirt also explored in Fortune’s raceAhead newsletter, included being told they were “not client ready” in reviews, being excluded from client meetings in favor of white colleagues who didn’t even work on the account and being pigeonholed to work on diversity projects rather than the major market accounts. The call to action is for PR firms to build teams representative of the diverse communities their future clients will want to reach. Here’s a throwback to an earlier milestone in the fake news phenomenon, when Google, Facebook and Twitter were called to testify before the Senate Intelligence Committee on their role in propagating fake news and potentially influencing the 2016 presidential election. The Daily: This 20-minute, daily podcast from The New York Times takes one of the trending topics of the moment and does a deep dive into the story behind the story. The Daily recently devoted an episode to the making of Overlooked. Make this one a part of your morning routine and you’re sure to come to work with your own hot take on key issues. 2 Dope Queens: A live comedy show podcast hosted by Jessica Williams and Phoebe Robinson from Brooklyn. These two best friends tackle serious issues facing feminists and women of color in a decidedly unserious way. From tokenism to racist Uber drivers to running into Tom Hanks (part of their ‘So Many White Guys’ series), anyone can enjoy the Queens’ exchanges.